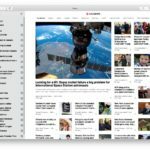 Pocket has today announced the launch of its redesigned app for iOS that introduces an updated listen feature and an enhanced reading experience. The new and improved listen feature lets you listen to the articles you’ve saved from anywhere. According to CEO Nate Weiner, the listening feature, which is powered by a new integration with Amazon’s Polly text-to-speech service, is intended to turn your article queue into “a personal podcast that you curate on your own”. With the redesign, the listening feature now resembles a modern podcast app, complete with buttons for skipping ahead and controls for adjusting the speed of the recording. The Mozilla-owned company has also announced its first Alexa skill. Simply add it to your Alexa-enabled device and you’ll be able to access your Pocket articles wherever you have a smart speaker. The new Pocket is about giving you a place to capture and collect the things you find all across the web that fascinate you. A space that is yours, filled with what interests you. With our latest version, we’ve created a calmer, cleaner corner of the internet for you to enjoy each day. We redesigned Pocket to make reading more comfortable. The new typography and user interface are designed to make long reads easier on your eyes. For night owls, the dark theme is designed for better night reading. You can grab the free app using the following App Store link.